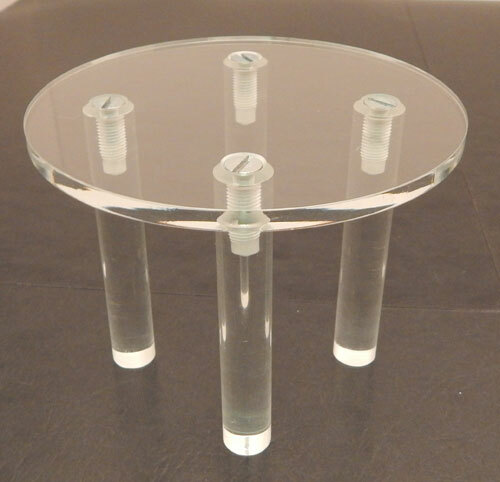 This is a round acrylic table available in four different heights. 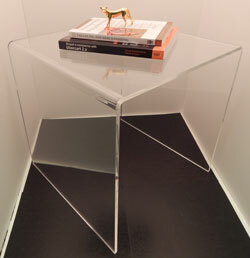 The clear acrylic design allows this table to be easily integrated into your current design aesthetic. 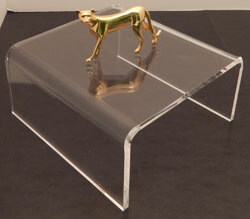 The clear design also keeps the focus on your displayed products and ensures that they look their best. 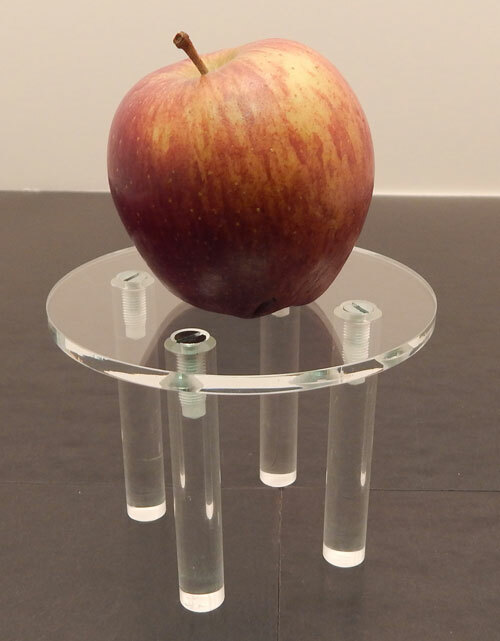 We offer multiple heights for this acrylic table to provide you with choices to find the perfect acrylic table for your needs.